The Best Houseplant blogs from thousands of top Houseplant blogs in our index using search and social metrics. Data will be refreshed once a week. Houseplant newsletter is a comprehensive summary of the day's most important blog posts and news articles from the best Houseplant websites on the web, and delivered to your email inbox each morning. To subscribe, simply provide us with your email address. Bedfordshire About Blog On The Ledge is a podcast all about indoor gardening helping you to grow everything from Aloe vera to the ZZ plant. Facebook fans 900. Twitter followers 13,034. Detroit, MI USA About Blog I am Lisa Eldred Steinkopf and am crazy about houseplants. My house is full and I keep adding more. This site is about houseplants and the plants I see when I travel, especially at conservatories. Facebook fans 3,453. Twitter followers 5,134. About Blog House plants encyclopedia listed by common names with pictures and care tips. Plus ideas for easy-to-grow indoor house plants. San Diego About Blog Learn how to grow anything, no matter where you live. The mission of Epic Gardening is to spread urban agriculture and innovative growing solutions through neighborhoods, cities and towns nationwide. Facebook fans 56,428. Twitter followers 17,123. London, England About Blog Everyone can be a houseplant hero! Effortlessly make your houseplants thrive with our care tips for most common house plants. Get your daily dose of plant inspiration with our beautiful & creative ideas for your home and urban jungle. Facebook fans 28. Twitter followers 62. Ohio About Blog This blog focuses on adventures in growing orchids and other tropical houseplants, as well as outdoor gardening in the Midwest with a tropical flair. Facebook fans 286. Twitter followers 95. San Francisco, CA About Blog We’re two San Francisco ladies who love plants. A lot. And we want to share that love with you. Whether you’re a plant pro looking for the latest trends or a complete beginner just trying to keep your first plant alive, UPP is here. UPP is a community, a resource, and a home base for plant lovers, plant learners, and everything in between. Facebook fans 1. Twitter followers 2. About Blog There is nothing half so much worth doing as messing about with bulbs. Indoors or outdoors it doesn't matter. Halifax, Nova Scotia About Blog Deprolabs Technology designs, develops and produces new smart internet of things (IoT) devices as consumer products. Home automation systems and health kits are future products. Facebook fans 49. Twitter followers 165. Facebook fans 1,221. Twitter followers 495. About Blog To say I’m a little obsessed with houseplants would be a major understatement. Because I love plants. And so do YOU. And we all have information and questions. Stories and tidbits. Successes and struggles. Toronto, Ontario About Blog This blog is about the basics of responsible plant parenthood. I want to help you enjoy healthy, thriving plants for the long term (years). A green thumb isn’t about luck but about being observant and knowing how Mother Nature takes care of her house plants – all plants. New Jersey About Blog Find all of your garden and decorating needs at Barlow's Flower Farm in Sea Girt, New Jersey. Annuals, Perennials, Houseplants, Landscaping, Gifts & More! Facebook fans 3,359. Twitter followers n/a. About Blog Urban Jungle Bloggers is all about living with plants – in your home, in other interiors, in public spaces. Facebook fans 25,518. Twitter followers 4,779. About Blog Paige originally got into plants because she missed the lush greenery of Oregon, so she decided to create my own green sanctuary indoors. She started plant journaling (House Plant Plant Club, Instagram) to help her emotional well being and to overcome some negatives in my life. india About Blog A Blog About House Plants. Facebook fans 2,021. Twitter followers 1,676. New York, NY About Blog The Plant Hunter Blog for The Sill - Plant tips, facts, care, and hacks - Grow your indoor houseplant garden with us. Facebook fans 14,566. Twitter followers 5,599. About Blog Photo stories of plants. Sweden About Blog Blogging about growing tropical plants in pots and containers as house plants. Now with tropical house plants shop, travel guides and hotel gardens reviews. Facebook fans 943. Twitter followers 25. Toronto Ontario About Blog Marjorie Harris is one of Canada's best known garden writers; she is the national gardening columnist for the Globe and Mail. She is also a garden consultant. About Blog A bohemian, plant-loving shop and blog dedicated to the houseplant community. This blog is to cater towards the houseplant-loving community that is found online and on social media. The goal is to help spread knowledge, bring more beauty into your everyday life, and experience the magic of nature through plants and a community. About Blog Around here, I intend to share my houseplant journey, as well as the things I learn along the way – things that work and things that don’t. I hope you’ll stick around to see what we can learn together! 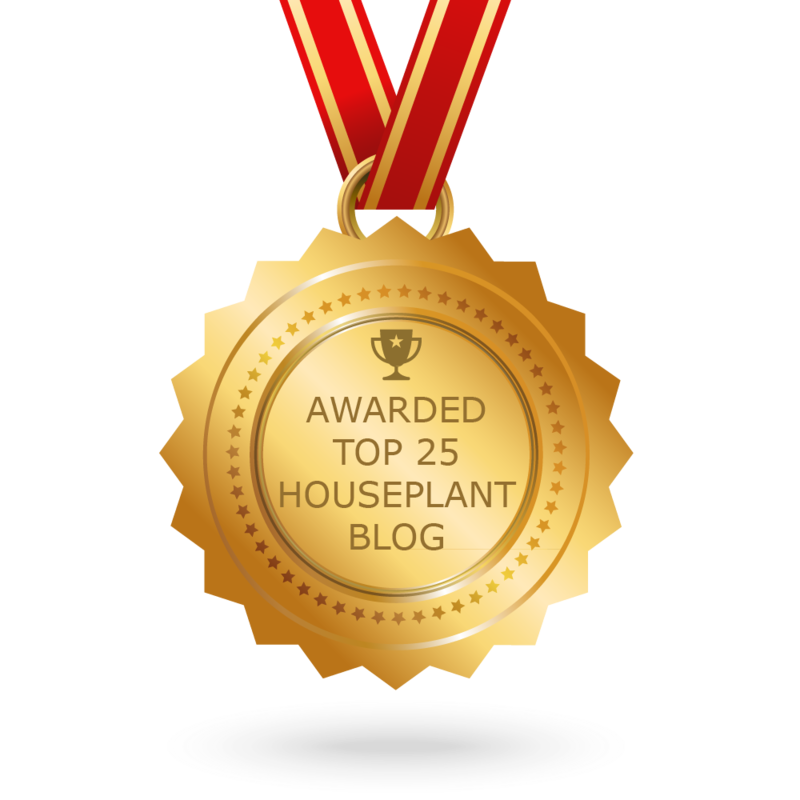 CONGRATULATIONS to every blogger that has made this Top Houseplant Blogs list! This is the most comprehensive list of best Houseplant blogs on the internet and I’m honoured to have you as part of this! I personally give you a high-five and want to thank you for your contribution to this world.